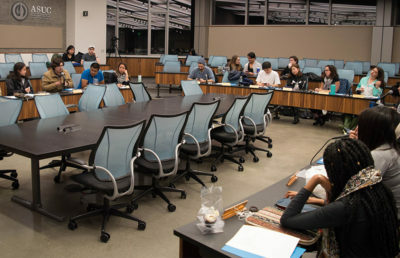 At its regular Wednesday meeting, the ASUC Senate passed five resolutions, moved eight resolutions into committees and heard from Carol Christ, campus interim executive vice chancellor and provost, and Steve Sutton, campus interim vice chancellor of student affairs, regarding the Master Housing Plan Task Force Report. During the guest announcements session, Christ and Sutton spoke to the senate about the report, updating it on the extent of the campus’s residential deficiency. 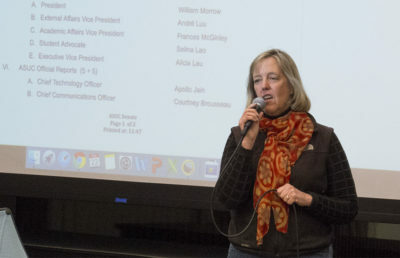 A number of resolutions — including one in support of a gender self-identification feature on CalCentral and one in support of an increase in student representation on chancellor search committees — were also passed during this meeting. 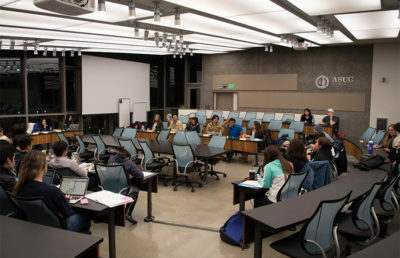 The two presented some statistics from the report, acknowledging an insufficient number of available beds in comparison to the number of undergraduate students and graduate students enrolled at UC Berkeley. Christ and Sutton also said they will be bringing a similar presentation to the UC Board of Regents meeting next week. After the presentation, the resolution in support of CalCentral having a gender self-identification feature passed with a unanimous vote. The resolution’s main sponsor, SQUELCH! Senator Marandah Field-Elliot, said her office is working to arrange a meeting with CalCentral programming administrators to create the system. “We really just wanted to pass this bill to show that this was broadly supported by the ASUC and not just my office singularly,” Field-Elliot said. Soon after, the resolution in support of an increase in student representation on the chancellor search committees passed, but it was pulled into immediate consideration for a minor wording amendment. According to the resolution’s primary sponsor SQUELCH! 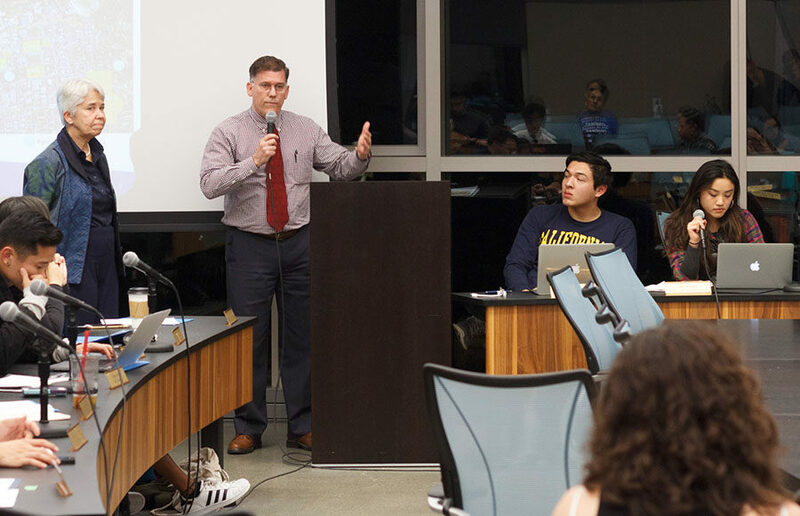 Senator Anthony Carrasco, now that the resolution has passed through the ASUC it will arrive at the UC Board of Regents meeting next week through Student Regent-designate Paul Monge. The resolution suggests a change in the policy surrounding the chancellor search committee — one of the five regent spots on the search committee would be allocated specifically to the student regent, student regent-designate or student advisor. Carrasco said he does not expect there to be heavy opposition to the resolution because it would undermine the legitimacy of the student regent position. According to Carrasco, Monge said UC President Janet Napolitano and UC Board of Regents chair Monica Lozano are open to the changes that the resolution would entail.